Company Universal Nutrition is one of the most famous companies in the production of sports nutrition. Products of this company are different quality and reasonable prices. Many well-known professional athletes prefer products Universal Nutrition. Company Universal Nutrition has developed a special type of high-quality protein. 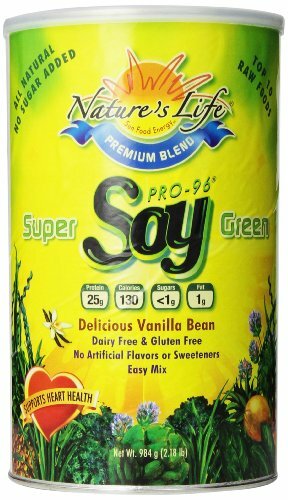 Soy Pro — is considered to be a new generation of protein and passed a lot of tests and clinical trials. The developers claim that this formula Soy Pro consists of pure protein without various additives. The drug is based on soy protein, which is fully cleared it unnecessary fats and carbohydrates, with good taste, so nice to drug use. Soy Pro is well absorbed by the body and allows you to quickly and easily gain muscle mass and restore the general condition after training. Everyone knows that part of the protein includes a protein that is a muscle building material and has a high energy value. Protein plays a vital role in the sports diet. The training process usually destroys and depletes muscle cells, the protein rapidly replenishes lost energy and regenerates muscle cells. How to Use Soy Pro? Soy Pro protein supplements should be consumed before and after exercise, for about half an hour before and 20 minutes after its completion. Athletes usually diluted protein supplement in milk, water or any other liquid. 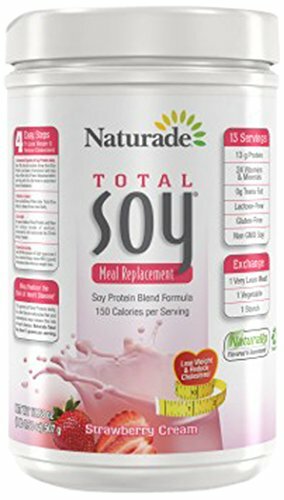 Naturade Total Soy, Strawberry, 1 LB 1.88 OZ.